Lift tickets are valid for a full day. This is a limited 2-day only sale that will expire at midnight on Friday, December 7, 2018. Promotional value expires Mar 17, 2019. Amount paid never expires. Conditions permitting. No refunds or discounts for closed runs due to events or weather conditions. Cannot be combined with other promotions, offers and discounts. Limit 1 per person, may buy 2 additional as gift(s). Merchant is solely responsible to purchasers for the care and quality of the advertised goods and services. Offer is not eligible for our promo codes or other discounts. 40 acres of terrain with some runs extending as long as a mile traverse the tree-dappled slopes at Rabbit Hill Snow Resort. There are three terrain parks here, all filled with enough boxes, rails, tubes, and jumps to keep you shredding and flying through the air all day. 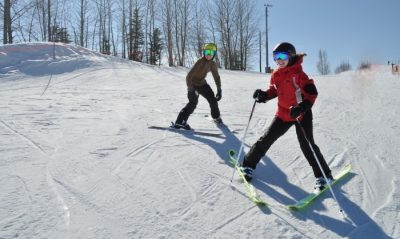 To help visitors surmount trails ranging from green circles to double black diamonds, instructors lead one- to three-day private and group lessons.